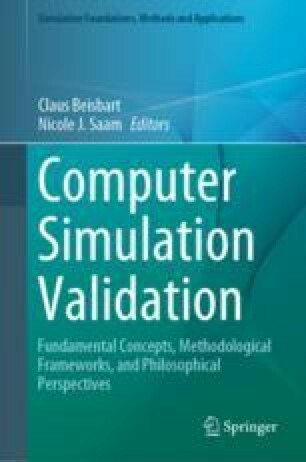 This chapter explores the topic of imprecise probabilities (IP) as it relates to model validation. IP is a family of formal methods that aim to provide a better representation of severe uncertainty than is possible with standard probabilistic methods. Among the methods discussed here are using sets of probabilities to represent uncertainty, and using functions that do not satisfy the additvity property. We discuss the basics of IP, some examples of IP in computer simulation contexts, possible interpretations of the IP framework and some conceptual problems for the approach. We conclude with a discussion of IP in the context of model validation. Gong, R., & Meng, X. -L. (2017). Judicious judgment meets unsettling update: Dilation, sure loss and simpson’s paradox. arXiv:1712.08946v1. Hájek, A. (2011). Interpretations of probability. In E. N. Zalta (ed. ), The stanford encyclopedia of philosophy. Stanford. http://plato.stanford.edu/archives/fall2007/entries/probability-interpret/.